Crush Your Global Growth Goals. Increase Business Performance By Design. 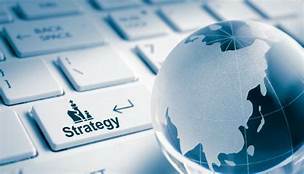 The Value Strategy Group specializes in systematic sales, marketing and leadership performance improvement for complex global B2B sales environments. We help clients create new markets, differentiated value and competitive advantage in their respective national & international markets to quickly grow their revenues. Learn how we can help you and your team compete on a global scale to crush your sales objectives. As global business growth accelerators, we have helped dozens of B2B firms systematically approach and identify market gaps, strategy impediments and key performance drivers to optimize team management and top line revenue. Organizations often struggle to link strategy development with effective execution. Working closely with clients we thoroughly assess their current plans, systems and approaches and develop processes to ensure their growth strategy is effectively executed. WE ARE WORKING ON OUR UPDATED WEBSITE - PLEASE CHECK BACK SOON!